Other local governments have similar programs, but what makes Maebashi’s different is the “special cases” that offer even more money. For instance, the city will pay a resident of Maebashi ¥200,000 toward the renovation of a vacant home if it is within one kilometer of the person’s parents’ home, thus encouraging the children of elderly or soon-to-be-elderly city residents to be in close proximity so as to be able to take care of them. In the same spirit, ¥200,000 extra will also be given to people who renovate a vacant property into a two-generation abode as well as to extended families who tear down a vacant house and replace it with a new two-generation home. 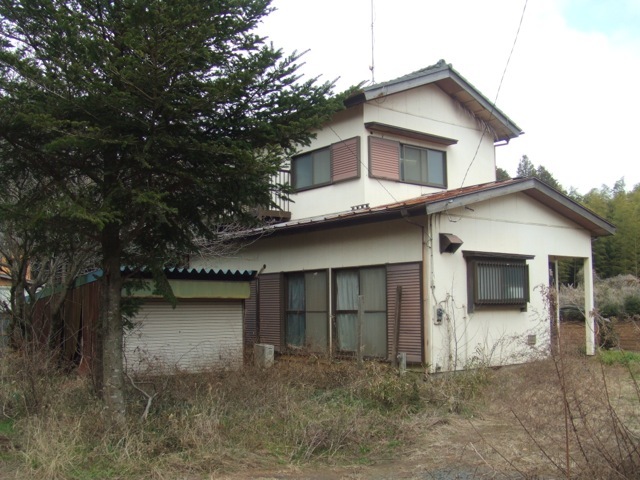 In a bid to get rid of superannuated structures that are perhaps too expensive and troublesome to renovate, a property owner will receive a subsidy of ¥100,000 if he or she tears down the structure, but will receive ¥400,000 if he or she replaces the superannuated structure with a new one. And since the city is also trying to attract new residents, it will give families of up to four members who plan to move to Maebashi from outside the city an extra ¥200,000 per person if they buy and renovate a vacant property or tear it down and build a new one. In order to encourange families to have more children, it is also offering families who already live in Maebashi an extra ¥100,000 per child up to high school age if they buy and renovate a vacant house. A married couple, even without children, can receive ¥100,000 for the same circumstances, even if they move from within the city. Lastly, if someone renovates a vacant home and changes it into a “share house” for students or into a “community facility,” they can receive up to ¥2 million in subsidies. According to these various payment plans, a household can receive up to ¥3 million in subsidies for buying and fixing up a vacant house or destroying one and building a new house. These proposals were publicized in a newsletter and so far the city has received 16 inquiries. Kudos to Maebashi govt for offering these incentives. My daughter and her family (4 members) are coming to live with me in our old house in Mashiko. The house needs a huge renovation but no one is offering us anything at all. Maebashi’s incentives should be implemented by all towns and cities in Japan. I’m sure it would make a huge difference. People won’t relocate unless they can also have the jobs that allow them to relocate. For some office workers I imagine a certain amount of flexibility can be arranged, but for the rest of the working-age population this seems an unrealistic expectation. No matter how dearly anyone would like to relocate to a rustic, more spacious home complete with subsidized renovations, without employment prospects it remains a pipe dream. Japan’s demographics point inexorably down. And with it, the increase in abandoned properties. Yes, you are right about that John. However, in this day and age a lot of people are lucky in being able to work from home. I count myself as one of those lucky people although it took a lot of hard work to be able to reach the stage of making a living in the occupation I chose as a freelancer. Job creation in rural locations is another task that local governments need to address. Japan’s ongoing depopulation is going to stand economics on its head, unless Kuroda really gets serious and is allowed to start the “helicopter money” dispersals directly to consumers. All other successful economies have sky-high housing costs, since land is the one form of capital that nobody can manufacture, and it can’t be imported or exported for that matter, so as population and incomes rise, people are forced to bid up the cost of land/housing. Communist China is running into the teeth of this dynamic right now, too. Japan of course did also have this sky-high housing bubble, specuvesting into it basically gutted the nation’s wealth position as so much money changed hands and was eventually lost to Japan’s formerly middle-class economy as the winners banked their takings and the losers suffered under their debt loads. Land prices are still rather high in Japan — a 2000′ lot apparently goes for $125,000 in Maebashi, though of course Japan’s sub-2% interest rates are supporting these high land costs, that lot only has a $200/mo interest cost at 2%. If land were free for the taking, Japan’s economy would be a lot more vibrant, and that’s the direction things are going, and that Kuroda is fighting.